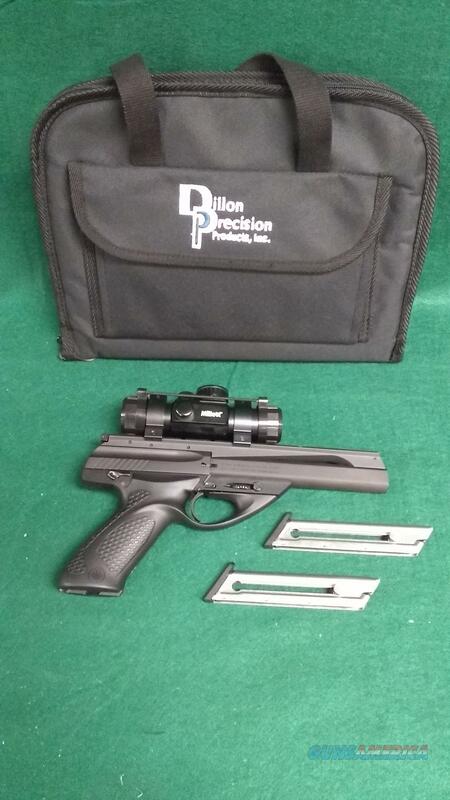 Description: Beretta U22 Neos with a 6" bull barrel, comes with two factory magazines and Dillon soft case. This gun is also equipped with a millet red dot scope. Email for more pics.